Z-Wave® is an advanced digital radio remote control protocol that is used in many smart home hub products, such as SmartThings™, Vera™, Wink™, Wemos™ and Homeseer™. The newest generation of Z-Wave® controllers have advanced capabilities such as signal forwarding (mesh protocol), transmission confirmation, and energy consumption monitoring. The Micropython language is a powerful but compact subset of the popular Python 3 programming language. 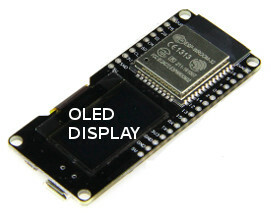 It is used in our control products to program the advanced microcontrollers we use. The resulting combination makes for a very effective way to manage smart home devices with low voltage relays that are inherently safe to use. All of our motorized devices, including window openers, operate on safe low voltage DC. Micropython was originally developed in late 2013 as a KickStarter campaign by Damien George, from Cambridge University in England. We mention this because we consider this to be a very signifigant development in the world of microcontrollers - in fact, it is a total game changer, in our opinion. We designed our Z-Wave group controller to be very easy to use, with a minimum of setup requirements. Powered by 24v DC, we use the Qubino dual relay module as the trigger for opening and closing blinds as it has wide support across many Z-Wave hubs. It also has an 'auto-include" setup mode that activates as soon as power is applied - this greatly simplifies the setup procedure. If you remove the 4 screws that hold the cover down, you'll see that our controller has a built-in OLED display that will help prompt you through the setup procedure. It will also display information about what it is doing during the regular operational phase. If you activate the built-in web server, it also reports activity on any browser enabled device (phone, tablet, laptop, etc). We refer to our group controller for blind and shade motors (and electric window openers) as the Unity Project because it supports both Z-Wave and WiFi control of our digital radio motors (which operating on VHF 433 MHz). You can also continue to use our hand-held and wall mounted multi-channel remotes for individual motor control. If you have our BroadLink hub, it will also continue to work (provides IR media control, as well as individual blind and window opener motor control). Although our Group Controller has a WiFi mode of operation (with a built-in web interface), you do not need to use the WiFi at all, if your primary requirement is Z-Wave operation. 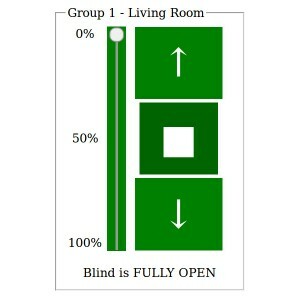 Please see Part 3 of this article series for instructions about WiFi blind operation. You can purchase our Unity group controller for blinds and window openers, and our other control products in our online DIY automation store. Copyright © 2017 - 2019 by NodeSwitch™ Controls - All Rights Reserved.